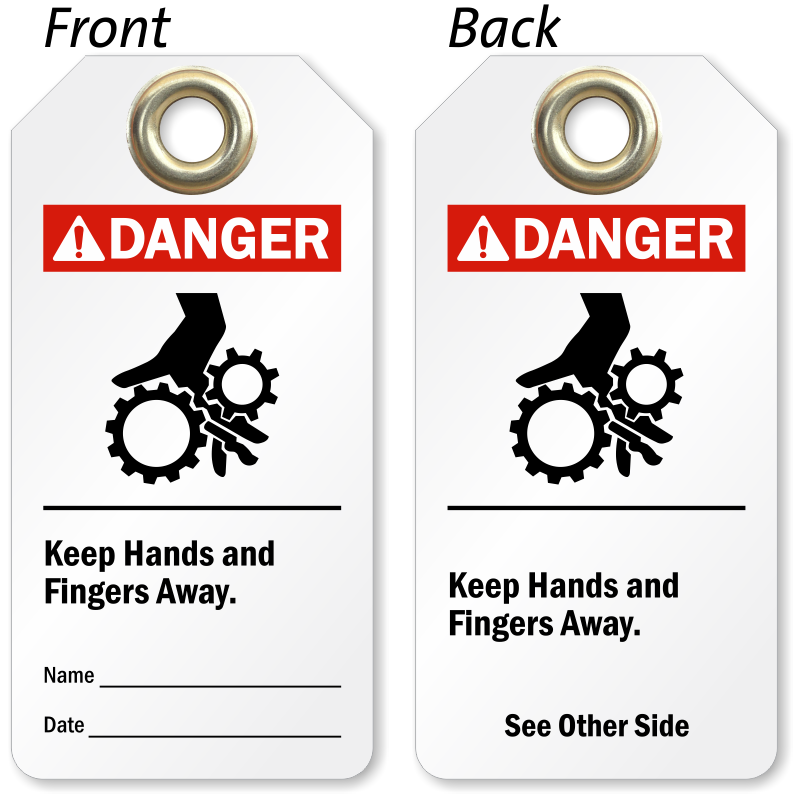 Hands Off Tags are intended to protect employees from sensitively dangerous machinery and equipment, or the release of hazardous energy during servicing and maintenance. 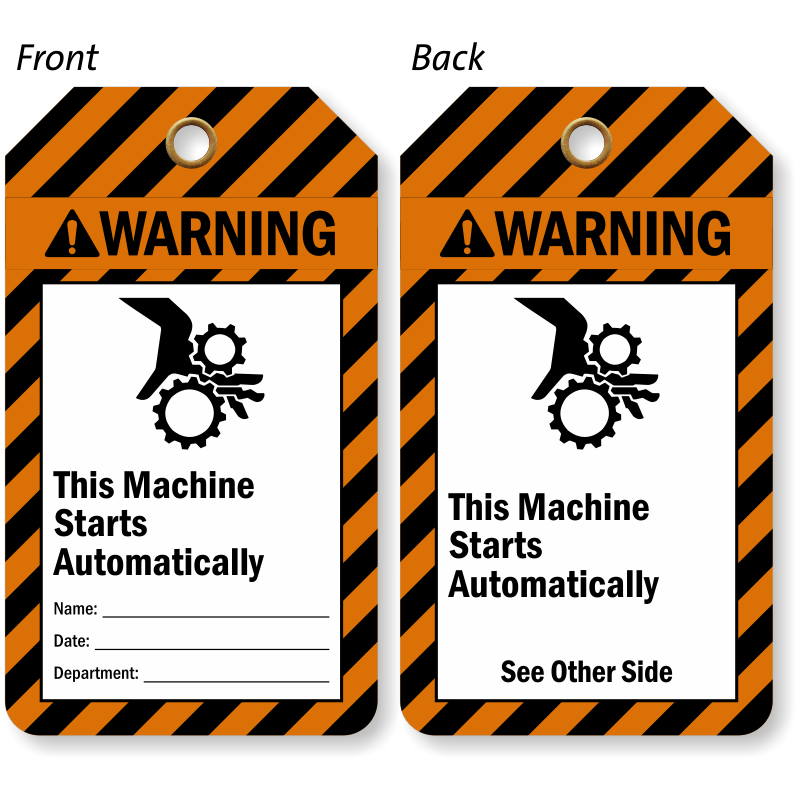 Use these tags as a supplement to your lockout program, or as a way to keep defective equipment from use – ensuring that employees are never caught off guard or injured by unidentified faulty equipment. 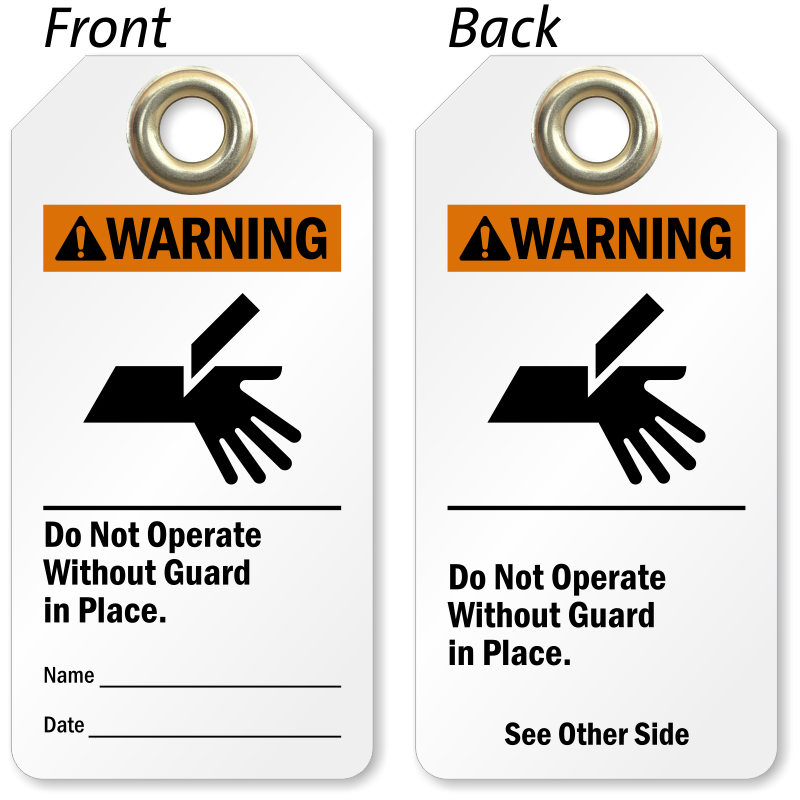 • Hands Off Tags are great warnings for delicate, energized, or hot equipment. Great for use to complement or enhance your existing lockout procedures or program. 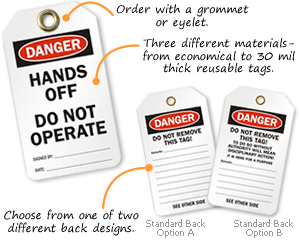 • Choose from a range of either affordable or exceptionally durable plastic tag materials. 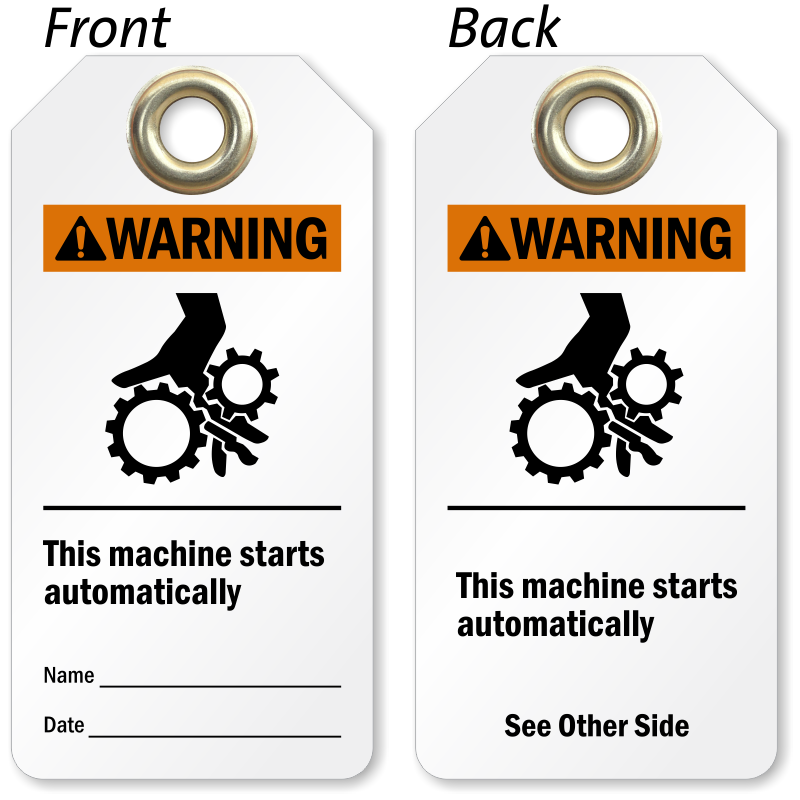 • Double-sided tags enhance visibility of your message and are offered with your choice of two different backside designs allowing you to select the message best suited for your specific application. • Tags are long-lasting and durable in abrasive environments, when exposed to high humidity, harsh chemicals, frequent splashes, or high and low temperatures. 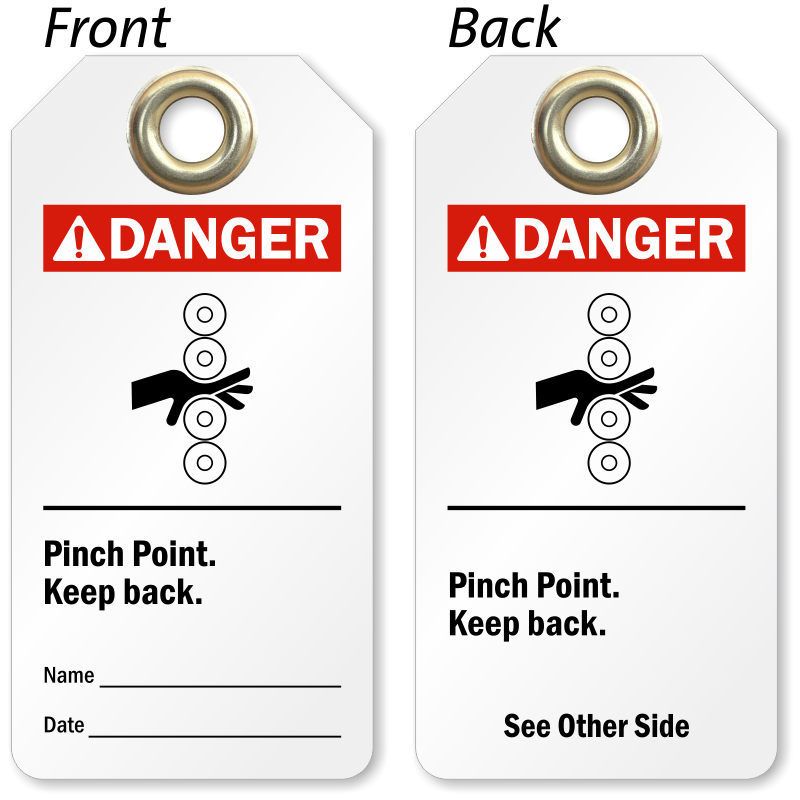 • Write on these tags with a pen, pencil or permanent marker for easy on-site marking and recording.